Despite my best attempts, I have yet to build a time machine. That being said, I do enjoy looking into the future, at least in terms of prediction. So do you, otherwise you wouldn’t be here. The entire video game industry is always looking to the future to see what’s coming next. Once it gets here, we relish in the present, then immediately look for the next quantum leap. It’s only natural, after all we’re given an imagination for a reason. In terms of the Xbox, we saw Microsoft go a little too far with their policies and get on the bad side of more than a few gamers. They managed to turn things around, but it’s clear that many of the things we’re used to won’t be here in the year 2020, or if they are, they will be on their way out. 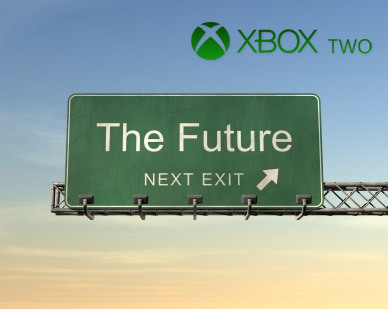 Let’s jump forward to the year 2020 and see what kind of competition the Xbox Two will face upon its release, shall we? No, I don’t have that time machine yet, but use that noggin of yours to follow me and you’ll make it through the article just fine. If you end up seeing yourself reading this though, whatever you do, don’t talk to yourself. Trust me, paradoxes are not fun, but this article is. Back in 2010, IGN Australia posted an article about what major players in the industry thought the year 2020 would be like. The answers they got were both interesting and bold. We’ll take a look at these predictions, then move into other more broad opinions before finally reeling our way back to the question at hand: What competition will Xbox 2 face at launch? The Co-Founder of 5TH Cell, Jeremiah Slaczka (most famous for the Scribblenauts series) made a comment about how gaming will continue to find its place in the world of mainstream entertainment. I thought this was an interesting prediction because we’re already seeing that with how much gaming budgets have grown. He also spoke about the industry’s trepidation with trying new ideas in case they flop. He went on to say that digital downloads will be the norm by 2020. He didn’t think that physical items would be gone by this time, which is true thus far, but he did say that downloads would be far more prevalent. This is very true, as almost every game is available at launch as a download currently. He continued by saying that games are going to evolve into new genres as technology allows for more creativity. Once again he also hit the nail on the head by saying that augmented reality is going to become big by 2020. He must have been a time traveler because just this past year, the HoloLens showed Microsoft’s passion for AR technology. Obviously it was around back then, but to predict that it would be so relevant is truly the sign of a time traveler, I’m calling it now. This concern has been alleviated somewhat by the rise of indie games in recent memory which have been trying new things and pushing boundaries at almost every turn. J. Allen Brack, the Production Designer for World of Warcraft, made predictions that gamers would be more connected than ever by 2020. He was absolutely right on that count. We’ve already seen Xbox Live make a massive leap forward with Xbox One and it’s clear Microsoft isn’t slowing down with their desires to connect gamers around the world. Even PlayStation has jumped on the bandwagon with the “Share” button on the PS4 controller. He also hit the nail on the head when he said that more and more people will grow up playing games instead of it being a stigma like it once was. Randy Pitchford, President of Gearbox Software (Famous for the Borderlands series) made some bold predictions about the future of gaming, saying that we would all be known solely by our digital identity and that we could take it with us anywhere we went, on any devices we wanted. He also predicted that Microsoft and Sony would be less competitive and instead focus on their individual strengths. He went on to discuss the the fact that games will become far better at immersing and engaging the player by 2020. He used his own game as an example, saying that Borderlands manages to marry a first-person shooter with the appeal of hunting for loot. A final prediction was that major publishers and developers would fragment and consolidate which will result in a future where the names could be very different. Hermen Hulst, Managing Director at Guerilla Games (most famous for the Killzone series) made some spot on predictions about wearable devices like the HoloLens or Project Morpheus. It’s interesting to see how accurate his prediction was back in 2010. Yes, the government will probably use these to track us, and yes, game companies will tell us that they are secure. As it stands, we have a small understanding of how the brain functions in terms of its neural activity. We can use our brains to respond trigger small things, but unlike some predictions, we most likely won’t be using implanted chips to control our games by 2020. Even so, there could be a quantum leap between now and then that lets us control more things by simply thinking about them. It may just be that we can use implanted chips to log in and out of Xbox Live, which is fine by me because I always forget the password anyway. Screens are becoming thinner and more lightweight as time moves on. By 2020, there are predictions in place that we will be using OLED surfaces that are as thin as paper and utilize touch capabilities. They will be durable, flexible, and all around us. This could make for great handheld devices or controllers. The technology applies to everything from walls, to mirrors, to windows, to floors even. Many of us already think that computers are way smarter than us. It sure feels that way, but the processing power is not at our level yet. The thing is, predictions state that we’ll have computers by 2020 that cost roughly $1,000 to make that have the equivalent processing power of the human mind. The way I see it, we’ll have about three years after that before machines take over the world. More people will have internet than now, meaning things like always online will be more easily accepted. There will be more competitors joining the market (Google, Apple, other major electronic companies will also begin making their own games or consoles. There will be an immensely larger mainstream customer base around the world, making it easier for Microsoft to create an install base. Digital downloads will be the norm, Xbox Two will be able to push a diskless console more easily. Peripherals like HoloLens or a super-powered Kinect will have the technology to support their vision. Xbox Two will support indie games like Xbox One, but with more emphasis on smaller, more innovative experiences. People will want an all-in-one box, and Xbox Two will be poised to deliver, though Sony may also bring a similar tactic to the table. Voice and gesture commands will replace controllers. Every form of entertainment will be somehow tied back to your Xbox Two (movies, games, TV shows, you name it. Consoles will all be similarly priced as technology will be more prevalent. Microsoft will need to convince people that they should go “all in” with their new system. Games will continue to stick to established genres, but more and more will begin innovating and shedding old habits. That’s my predictions for 2020’s game industry, but what do you think? Tell me about your thoughts and what you think the future holds in the comments below! Take magic leap. Holograms without glasses . Holograms started with oculus rift ,a system that would have been great ,if not declared out dated before it was released . This is the doing of hololens. A Microsoft device that blends our world with the computer world,a system that will ultimately be outdated before it's released. That darn Moore! Take the current xbox controller .Imagine the two sections coming apart to reveal a paper thin hologram system,one that is a a solid shell hologram ,one that can be there like a normal object ,and than disappear.That is the future of the controller . Now ,the actual console will have a screen that says the game your playing. The power brick will be nested inside ,like the ps4. But will be so small it wont make a difference. It may even have wireless power receivers .The kinect will also be inside the the console . As for the games and movies ,The cloud will be getting bigger ,but I think disks will have at least one more generation left. Unless they've thought of something better ,The Hybrid drive will be the new standard. (xbox 1 elite) Since the games will be much better ,they will take up much more space. Expect 500 terabyte to 2 petabyte(2000 terabyte )Or maybe windows 10 is skye net and it wont matter because the xbox will be inside our terminator skulls. getting property lots of money is certain. Human brain equivalent processing power for 1000$ by 2020??? No way!